Click here to read a review of both editions. 1990. On a beach in the Indian Ocean, Jacques Chirac, passionate fan of non European cultures and future president of France, meets art collector Jacques Kerchache, whose lifelong ambition is to see African sculpture admitted to the Louvre. Together they begin laying plans, and ten years later “the unthinkable has happened,” as pagan fetishes take up residence under the same roof as the Mona Lisa. 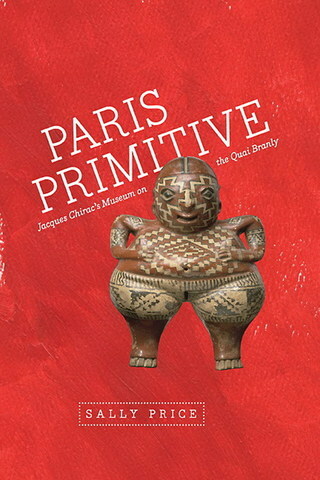 By now Chirac’s ambitions have grown to include a reshuffling of the city’s entire museological landscape and soon the venerable Musée de l’Homme and the former colonial museum have been cannibalized to furnish Chirac’s legacy to the nation, the 300-million-dollar Musee du Quai Branly in the shadow of the Eiffel Tower. In 2006 the museum is inaugurated amidst much hoopla and a maelstrom of controversy. Paris Primitive traces these events and discusses the questions they raise. How to display the spoils of colonialism in a post-colonial era? ...balance aesthetic appreciation and ethnographic information? ...involve members of the cultures whose traditions are exhibited? ...handle demands for repatriation? ...negotiate political agendas and cultural programming? ...and mediate ethnicity and nationalism in a setting of rapidly growing diversity? All this against the background of the republican notion of “universalism” that lies firmly at the heart of French heritage. —Kate Duncan, Journal of Surrealism and the Americas 2:2 (2008), 268-272.